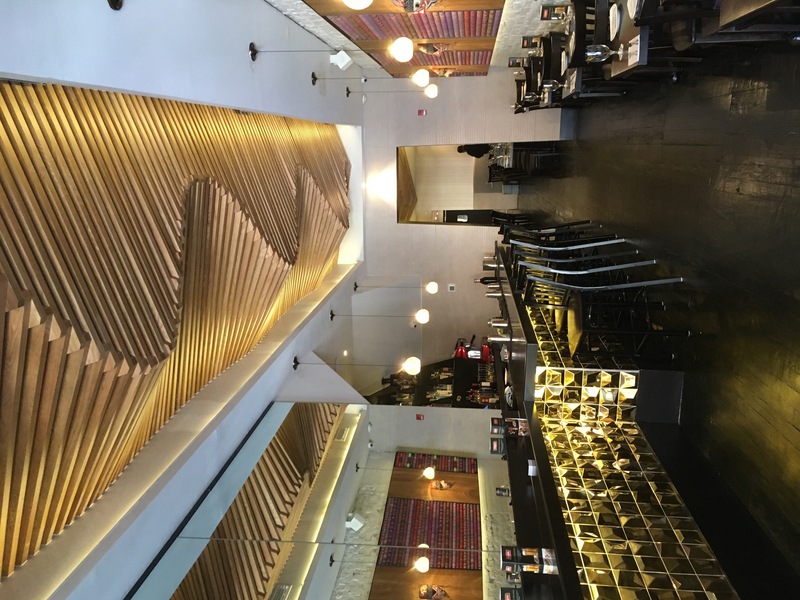 Interior of Vista Peru, one of three Peruvian restaurants by chef René Arroyo in Philadelphia. Eli Siegel. 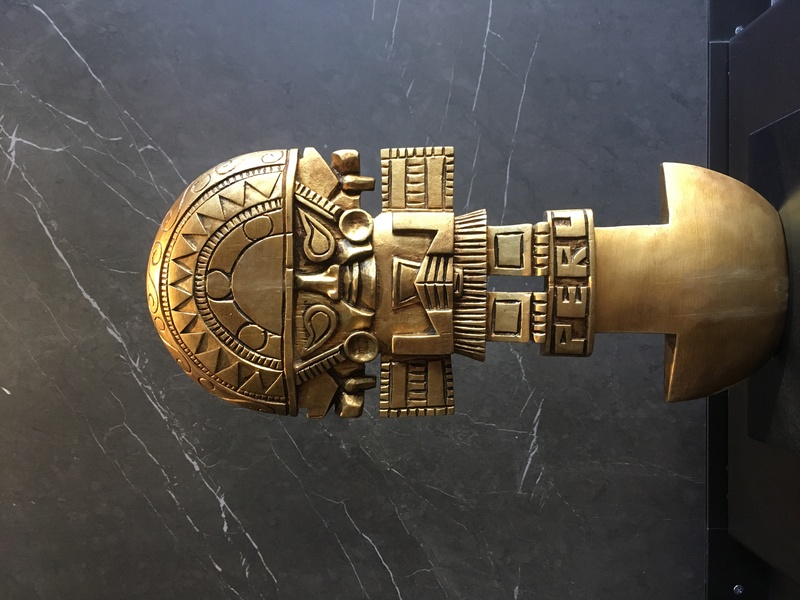 A sacrificial ceremonial axe, known as a tumi, greets visitors at the front of Vista Peru—the latest culinary undertaking by Peruvian chef Rene Arroyo. Bright, colorful Incan textiles adorn the interior walls while wavy sculptural decoration on the ceiling evokes the Andes Mountains. In the back, recreations of the monumental Nazca lines run across sandy colored walls, reminiscent of the Peruvian desert. “The idea is that once people step in the restaurant they see different aspects of Peru, such as the art, music, cocktails and, of course, the food,” explained Miguel Toro, co-owner of the restaurant and stepson of Arroyo, the executive chef. 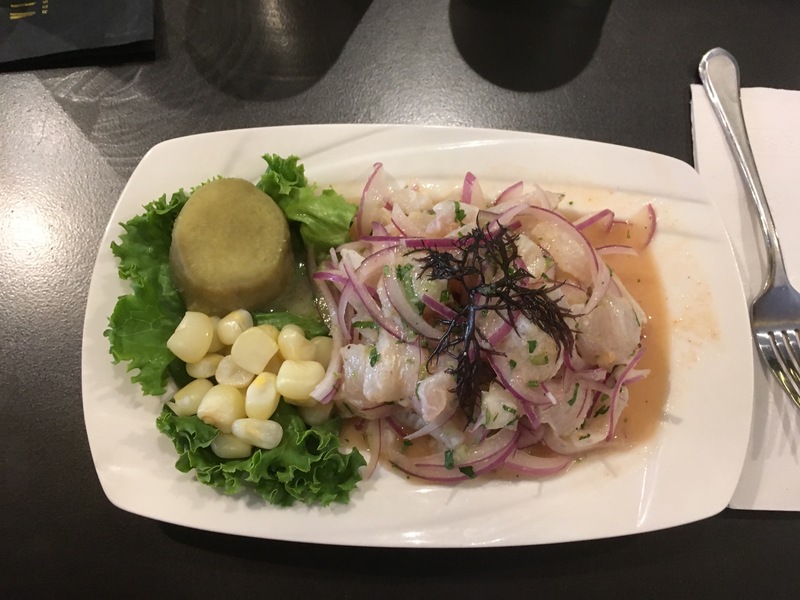 The goal to bring an authentic Peruvian experience for customers in Philadelphia, many of whom have never been to Peru or tried the country’s cuisine, lies at the heart of the restaurant’s mission. “We named the restaurant ‘Vista Peru’ because it means that the person visiting the restaurant will see something of Peru,” Arroyo’s wife added. This may come as a surprise to some since the family’s other two restaurants, El Balconcito and El Balconcito II, serve Portuguese and fusion cuisine alongside the Peruvian classics. However, Arroyo’s culinary training is mainly Peruvian, having cooked throughout the 90s in Peruvian catering businesses in Lima. Among the most popular options at Vista Peru are the Lomo Saltado—a rib-eye steak, tomato, onions mixed with french fries, served with rice—and the mouthwatering Peruvian classic Ceviche, made of marinated fish in fresh lime juice mixed with onions and cilantro. This diverse set of influences also lies at the heart of Pisco, the national alcohol of Peru and the drink at the center of Vista Peru’s extensive bar. The Pisco Bar, housed above the restaurant, contains more than twenty different cocktails with a Pisco base and is open on Friday and Saturday nights. Also offered are traditional Peruvian beers, Cusqueña and Cristal, alongside the bright yellow, wildly sugary Inca Cola, a Peruvian soft drink. 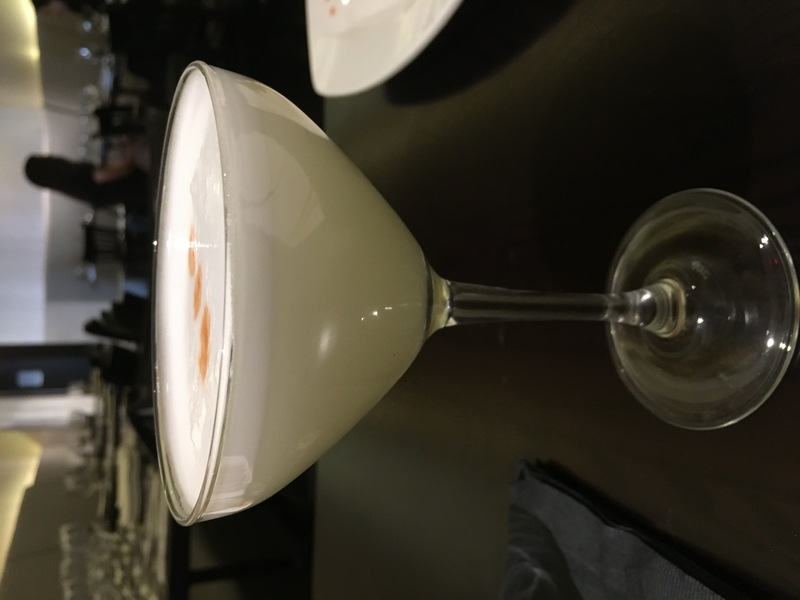 My personal favorites were the Pisco Sour, Peru’s national cocktail, made with egg white, lime juice and sugar, as well as the Chicha Sour, which is the same as the Pisco Sour but with the addition of a special Peruvian purple corn, giving the beverage a distinct color and flavor. Vista Peru participates in various food festivals, such as Hispanic Heritage Day during the summer. The restaurant also plans to host a special event for Peruvian Independence Day on July 28. Vista Peru will close off the street, set up food tents and bring Peruvian musicians to play traditional music from the country. Looking to the future, the family plans to expand the business, possibly opening another location in South Philly inside the Live! Casino set to open in 2020. 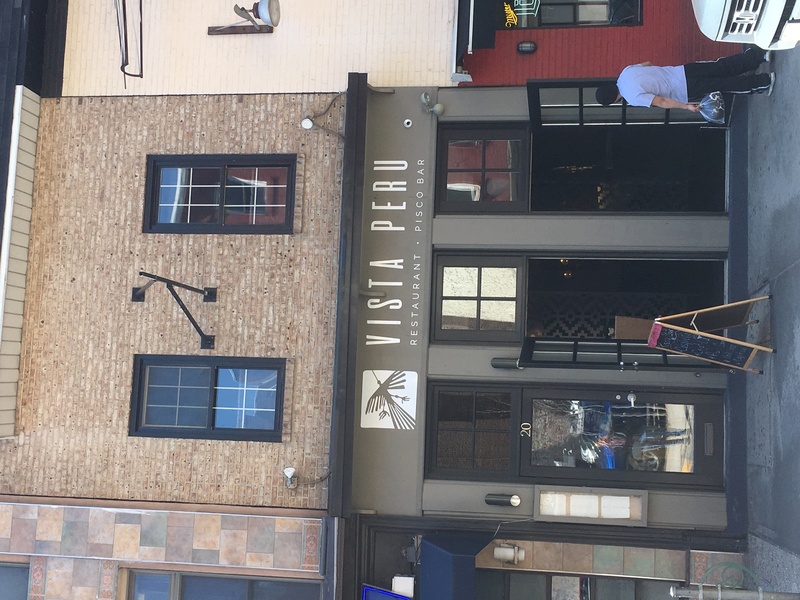 Vista Peru is open daily from 11 a.m. to 2 a.m. and is located at 20 South Second Street in Old City. For more information, check out their website at vistaperuphilly.com.